So, after several years of looking in varying degrees of intensity, I finally have a (hopefully) regular gaming group again, for which I am running the game. It's a couple of old friends who live in the area. 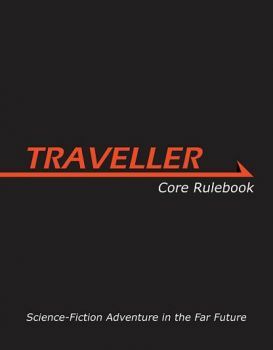 MegaTraveller: Noble House - This would be my own MT setting, using my conversion and update of the Pocket Empires rules from T4 (which aren't complete right now, but I would have worked extra hard to get them ready in time to run the game). The story would revolve around a noble house and its retainers, and the intrigues of a rival house to discredit and dismantle them. Top Secret: Special Missions Bureau - A Top Secret game set in the early '80s, with Cold War intrigue and globehopping adventure. I intended to take the results of the game and use them to provide a background for a second arc which would take place in the modern day. White Star: The Flanaess Sector - In this one, the players would be gritty, down on their luck adventurers in the Flanaess Sector, against a background of interstellar rebellion against a distant empire. I'm afraid that I didn't present this option to the players very well, though it was considered. Flashing Blades: Scourge of the Caribbean - Swashbuckling pirates in the Caribbean Sea! CORPS Old Solar System - Dying Mars with its ancient civilizations and canals crossing the cold deserts, overcast Venus and its vast, jungle swamps, shallow seas, and saurian monsters. I hadn't yet figured out what would be around Jupiter and Saturn (or further out yet! ), but Mercury was to be largely drawn from Space 1889's "Nodding World" with its planet-girdling World River. Lots of inspiration from C.L. Moore and Leigh Brackett. 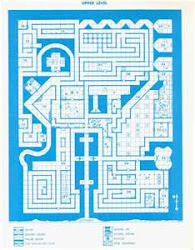 After some discussion, the players settled on the GURPS Deindustrial Future game, despite the fact that none of them have played much GURPS (they have an ongoing Champions game and have stayed focused on HERO System, though like most sensible people they shied away from the sixth edition of that game). Since I haven't played much 4E GURPS myself, things have been a learning experience for us all. I hope to write up some about their characters and their first adventure (a saloon brawl that took us a long time because of our collective unfamiliarity with actually playing the game) soon.